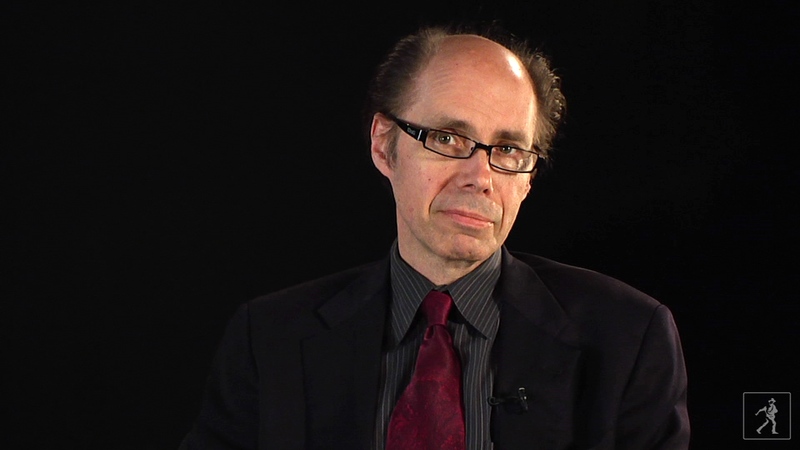 Jeffery Deaver is a novelist of big numbers: 21 novels, over 20 million copies sold, translations into 35 languages, Edgar Award nominations (six), Ellery Queen Reader's Awards for Best Short Story (three), CWA Ian Fleming Steel Dagger Award (in 2004, for Garden of Beasts), Short Story Dagger (again in 2004, for The Weekender), an Anthony Award, a Gumshoe Award, and a WH Smith Thumping Good Read Award. Oh, and two novels turned into movies: The Bone Collector , starring Denzel Washington as Lincoln Rhyme and Angelina Jolie as Amelia Sachs, and A Maiden's Grave (retitled Dead Silence), starring James Garner and Marlee Matlin. He describes his novels as "roller-coaster rides," an accurate description of the white-knuckle action of his two latest Lincoln Rhyme novels: The Cold Moon (hitting number one in UK hardback sales on the day we meet) and The Twelfth Card (riding high in the UK's paperback charts). Both involve brilliant serial killers pitted against the NYPD's best forensics experts, and both take place over a matter of days. It's Jeffery Deaver's last night in the UK after a tour that has taken in the Harrogate Crime Festival and Scotland, and he's kindly agreed to see me. I'm sitting in one of the lounges of a hotel near to Regent's Park, enjoying the air-conditioning after a sweat-soaked Tube journey on one of London's hottest days on record. As I wait, I'm wondering what kind of man is behind this frenetic world of wise-cracking cops, stakeouts, shootouts, explosions and devious murder plots brilliantly hatched. A surprisingly softly spoken man, it turns out, with a mildly professorial air - a person who listens thoughtfully and speaks slowly, as if weighing and shaping each spoken sentence with the same care he applies to his written sentences. Or the care he applies to his meticulously crafted plots, which throw endless curveballs. "Well my trademark," he says, "and what I work very hard at, is the twists and the surprises. I spend about eight months outlining my books from a very simple premise. In the case of The Cold Moon it's a villain obsessed with time. He constructs these elaborate plots to kill people, doing it with the same skill with which he practises his vocation, which is watch-making and clock-making - with very elaborate gears and levers and dials and springs. And then pushing the button, winding up the clock and letting it run, while he sits back and plays the great Watchmaker. "I was at a book event in America and I said jokingly, 'My book has a surprise ending and then a surprise ending and then a surprise ending,' and it got a bit of a laugh. But then a fan raised his hand and said, 'You quit too early. You've actually got four surprise endings, if you count the subplot.' So that is what I spent the eight months structuring the book to achieve. "You can't write this kind of book simply by sitting down with a blank computer screen. You can write a wonderful character-driven book, a superb literary novel, a compelling Gothic thriller or murder-mystery - but I need the outline. The Cold Moon was one of my shorter outlines, surprisingly - it was about 140 pages. The Blue Nowhere, my book about computer hackers, was about 220 pages. No prose in there - just very detailed descriptions of the scenes, the clues, the characters, where they're introduced, what happens to them, where they go and when - so that there are no loose ends whatsoever in any of my books." The major perp is extremely intelligent and meticulous in how he plans. Jeff laughs when I comment that this sounds remarkably like him. Are the characters a reflection of his dark and light sides? "No. Emotionally I'm very removed from the books. I consider myself the operator of a carnival ride, a rollercoaster, and I dispassionately put readers in their seats and pull the levers. And they have a thrill, I hope, and I deliver them safe and sound at the end. An airline pilot, to mix my metaphors, has flown through thunderstorms a hundred times, and it's just another aspect of the journey, whereas the audience, the passengers, might be exhilarated or terrified, and their emotions are independent of his. "There are some authors who say how you dwell with the darkness of your villains. And my response is, 'I just make it up!' Most of what I do is simply craftsman-like work. I try to be a builder or an engineer. If I've been lucky enough to be born with any kind of talent, it's probably my ability to be empathic, to step into the minds of other characters. In The Twelfth Card, one of my heroines is a sixteen-year-old African-American girl who's the target of a hired killer. I spent time in Harlem researching the book, and I've lived in New York for a long time and I have friends who are African-American, and I kind of jumped into her psyche without too much difficulty, in the same way that I jumped into Thompson Boyd's head pretty easily as well." Thomson Boyd, the man hired to kill your heroine, Geneva. He's enormously detached as well, isn't he? "Yes. I have an emotional distance from my characters, but some of them echo elements of my approach to writing. One is the Watchmaker in The Cold Moon , and the other is an illusionist in The Vanished Man, who used techniques such as sleights of hand and David Blaine illusions to get close to victims, kill them and escape afterwards. In my books I create illusion." "Very well said. People are concentrating on my left hand, when in fact my right hand is the one that's doing the action. It's like one of those characters from an old science-fiction film with four hands going, or one of the Hindu gods with multiple hands - what's really going on is still right there in front of you (I hope), but you're not concentrating on it, or I'm leading you astray. "One of the other lessons I've learnt in this business is that readers are incredibly smart. You're not going to pick up a book of my sort unless you are a very savvy person, because they're rather complex books. We have an expression in America, 'one-trick pony'. I can't let my books be that." "Well there's a formula I adhere to, but it's a multi-dimensional formula. Whereas a story in which the hero is known, we know what the bad guy's going to do and the hero butts heads with him four or five times and finally wins - that doesn't appeal to me. That's what I'd call the 'one-trick novel'. I want many tricks in my novels, because readers are going to guess that one trick. It can be emotionally satisfying to beat the author at his own game, but I want to beat the reader more times than not." It's a three-way tussle, really, between the good guys, the bad guys and the reader. "Some people like to spend time with a comfortable read and read three or four pages at night, and that's the great thing about writing - even within this genre you have such different styles. For example, I read an author like John le Carré (who's probably my favourite author) and yet his books are not what I've just described about mine. Brilliant psychological insights, compelling, lyrical writing, very thoughtful. Books about ideas and politics and psychology. We can be satisfied by many types of books." "I will never break that vow. There's an expression in Hollywood that when a producer is looking for a 'property' - a book, a story to make a movie of - he wants something that's completely original and yet has been wildly successful. We laugh at that, but in fact there's a lot of truth to it. I'm always looking for ways to give my readers the formula that they're used to, and that is a book set over a very short time period, with twists and turns, surprise endings, mistaken identities, a bit of esoterica - like magic and illusion in The Vanished Man, time in The Cold Moon, Asian culture and asylum-seeking in The Stone Monkey. But I'm looking to give readers something different at the same time. "What's very important about the esoterica is that it has to further the plot. For Garden of Beasts, my historical thriller, I had maybe 10,000 pages of notes. It was set in 1936 in Berlin, during the Nazi Olympics. It had to be historically accurate, because Hitler was a character in the book, as were Goebbels and Goering, and a whole series of real characters. And yet I only really used about five percent of all of the research, because if it doesn't further the story along, out it goes. I'm not showing off that I've learnt anything; it's not my job. Nor is simply including it because I think the reader's going to find it interesting. It has to move the story along. I can write, if I so choose, a non-fiction book. Or I'll include a bibliography, in which readers can go read about this elsewhere." But can the research be quite seductive at times? "I get a kick out of touring. I'll go to a country like Italy, say, where The Cold Moon went to number one when it came out. The Italians are wonderfully proud of their country, of course, but the people I meet tend to want to show me very obscure details of their culture. They'll say, 'Oh, we've got to go and look at this relic, buried under a church that's ten miles out of town.' I'd never be less than enthusiastic about someone who's generously sharing something with me, but what do I want to do? Sit in the café and watch people, because I'm so curious. I want to see lovers with bites, or husbands and wives have fights, or lovers who are happy to be together, or when someone has bought something and shows a treasure to their partner, and the child is interested in something…"
Hence Kathryn Dance, your expert in body language, who makes her first appearance in The Cold Moon. "Exactly - my new character. I'm working on a new book in which she features, and it's called The Sleeping Doll. It's a new series that I'm starting. I'll give it two or three books. This is all about the fans, but the feedback has been very good." "I could make a very comfortable living writing nothing but Lincoln Rhyme books. And yet I have a lot of ideas, hundreds of ideas, for books. And some of them are appropriate for a forensic scientist like Lincoln Rhyme, but some of them aren't. Some of them are more psychologically oriented. So the limitation with Lincoln has nothing to do with his disability. He happens to be a quadriplegic, but most people don't even think about that. He's in a relationship with Amelia so there's the romantic side. He couldn't run a marathon, but he has his own physical challenges as it is, with his exercise program to try to improve himself. So the disability is really only just one aspect of his life." "The more difficult the situation, the more emotionally satisfying is the legitimate resolution. When I give my little speech about writing at readings and appearances, I ask the audience, 'Does anybody know the phrase Deus ex machina?' And some people nod. And then I say, 'Well you could tell the rest of the audience that this is Latin for, 'Oh, please, gimme a break!' Meaning, of course, that if you don't resolve the situation fairly and legitimately, it's a huge emotional letdown." "The Wizard of Oz, one of the greatest movies ever made, was based on a series of fine books by L. Frank Baum. Wonderfully written; very compelling characters. I believe that the book was not a dream, because there were sequels, with characters who didn't appear in the movie. I remember reading them when I was quite young. But the movie is all a dream. For me, it's pointless - I detest dream sequences. The film The Usual Suspects was very well done, the acting was superb - what an incredible cast. But most of the movie is a fabrication of what happened. To me that was a short story - a brilliant short story. But a feature film? I don't think so, because it was all a lie. You can't lie to the audience. You can give them magicians, we can thrill them with our sleight of hand, but the whole routine can't be a sleight of hand." What can fans look forward to with The Sleeping Doll, the novel you're working on now? "It takes place in California, where Kathryn Dance is based, and it involves a manhunt for an escaped prisoner who is obsessed with controlling other human beings. He is a villain of the sort that I have not written about. I have a new cast of characters - Lincoln Rhyme doesn't figure in the story at all, although he's referred to briefly. But I truly want to break her out as a separate character. The only reason that I hesitate about saying more is that I've noticed that, in television and other books, occasionally concepts are lifted. I wrote The Bone Collector ten years ago. At the time very few titles had the word 'bone' in it, and it struck me as being rather an ominous title." And now crime novels with the word 'bone' in the title are all over the place. The Bone Collector was, of course, turned into a film starring Denzel Washington and Angelina Jolie. Has the fact that two of your novels have been turned into films changed the way in which you visualise your own characters? "No - completely separate. Apples and oranges. But I enjoy films very much and have been influenced by films as much as by any book. And if you look at my books, they are structured according to the classic Hollywood film. There's the initial event - what we call the 'inciting incident' - which gets the story going. We have shifting points of view - you're in the mindset of a character who might not be privy to the ultimate truth. There is a period of excitement followed by a lull, followed by a slightly escalated level of excitement, followed by another lull, followed by more excitement - all leading up to the big crescendo, the big climax. And there's a coda - something a little more reflective at the end." "Symphonic - I use that analogy all the time. Vivace, andante, lento, vicace, and then at the end the coda. And music is pure emotion and I want these stories to be emotional. They're not an intellectual exercise - although to catch on to the tricks, they should be. With Kathryn Dance, there will be far less of the scientific analysis and I do hope that it will be a step closer to pure emotion."